Make an emergency call. 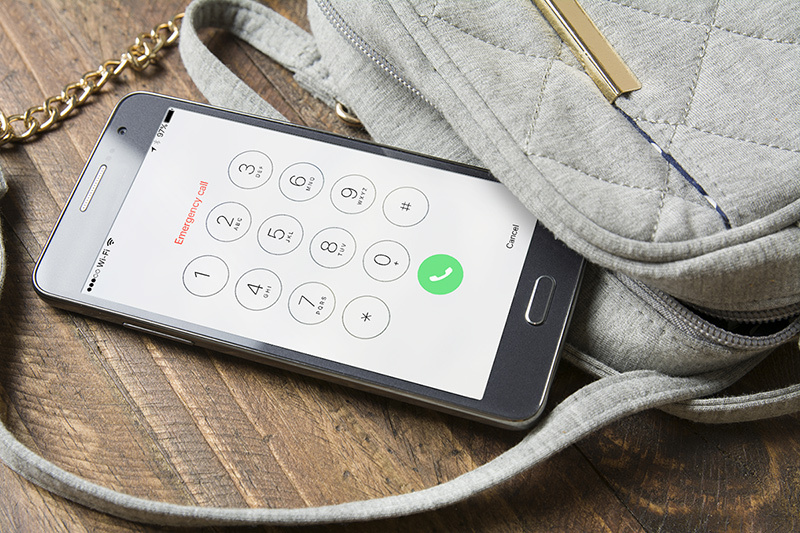 Both Android and iOS phones let you make emergency calls from a locked home screen. So even if you don’t have your friend’s passcode, you can use their phone to call 911 for help if needed. Stay connected to friends or loved ones. Apple’s Find My Friends app (installed on all iOS devices) and the similar Google app, Find My Friends! (free for Android) can show you where your friends are, and they can see where you are (if you choose to share your location with them). Get help from a friend. The Circle of 6 app (free for Android and iOS) has received a lot of attention as a tool to prevent violence. You store contact info for 6 friends, and use a one-touch icon to share your location and ask for help getting home safely, or to request a call from a friend and more. Call 911 when you have no service (sometimes). Your phone tells you if you have service on your own carrier. But even when you have no service visible, it’s worth trying to make an emergency call if you need to, because any carrier that might have coverage in the area is required to transmit your 911 call. Text 911 (in some areas). No kidding, in a number of parts of the country, 911 also accepts text messages (check out the FCC info to see if your area participates). While making a voice call to 911 is always preferred, text-to-911 is a great option for people who are deaf or hard of hearing, or for people who may not be able to make a call for any other reason. More parts of the country are expected to add text-to-911 service over time.